I'm a UI/UX & Visual Designer based in San Francisco, California. I enjoy understanding user behavior and being able to take that information and turn it into intuitive, beautiful design experiences. Conceptualize and execute mobile applications and web designs to address the challenges faced by various clientele. I have successfully designed, optimized and deployed projects from concept to launch for both desktop and mobile. I love the process behind understanding your users and designing better solutions using qualitative an quantitative research. My goal and passion as a visual designer is to create beautiful experiences for both mobile and web applications. I have a passion for creating animated, interactive prototypes! Over the years, I've collaborated with designers and developers to create and implement projects from end to end on web and mobile platforms. I’m always looking for ways to perfect the user experience. My process starts with understanding business needs, listening to user stories, inventorying content and developing a UI Architecture. 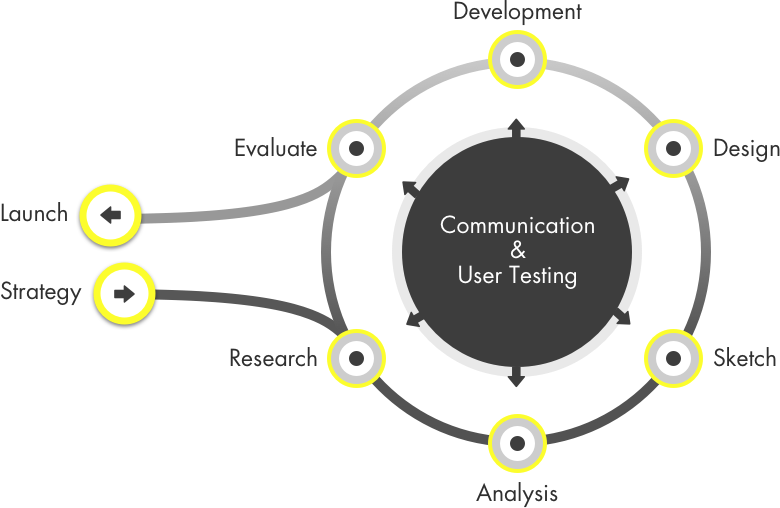 I believe that successful design projects stem from good communication and keeping the end-user in the forefront. Great design requires deep knowledge of your users, their environments, and their goals.